Origin Native to Andes of Peru, Ecuador, Chile, Bolivia and Colombia. 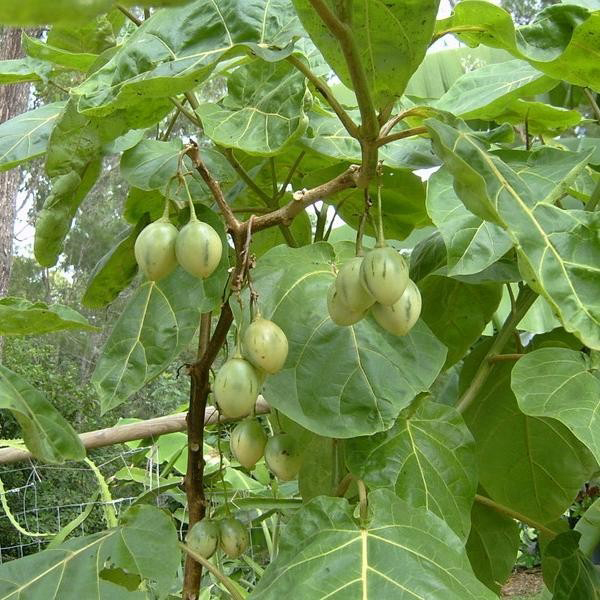 Solanum betaceum also known as tree tomato or tamarillo is the fruit which has the similar appearance of tomato. The fruit could be found in two colors of yellow and red. Red one is well-known than yellow. 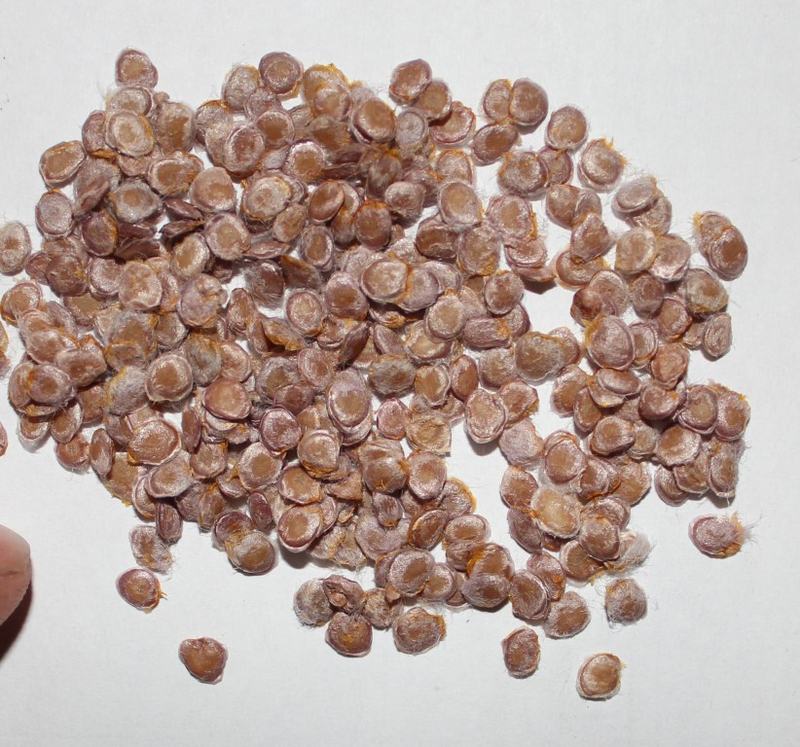 Fruit is egg shaped bearing yellow to orange flesh and black seeds that is surrounded by purple gelatin. Red color found in tamarillo is due to the pigment named anthocyanins and yellow color is from carotenoids pigment. 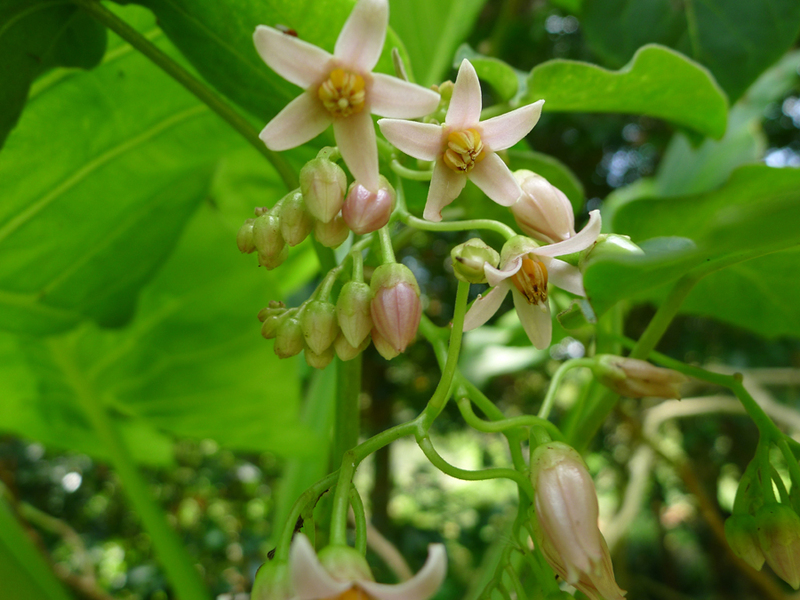 The fruit tamarillo is found in tree with short life span. The plant prefers subtropical climate with 600 and 4000 millimeters rainfall and annual temperatures in between 15 and 20°C. It is not tolerable to drought stress and frost. It does well in deep, light and fertile soils. It possess fragrant flower in many colors. The tree is shallow rooted and grow up to the height of 5 meters. The trees are short lived which could survive from 12 to 15 years. Leaves are heart shaped which measures a foot long and 5 inches in width. Flowers are light blue, pink and white measuring ½ inch in diameter and are borne in tips of branches. Flowers are replaced by orange, yellow, red or purple fruit which is long stemmed measuring 3 inches long and 11/2 inches wide. Seeds are flat, thin and hard. The word tamarillo is derivative in New Zealand in 1967. Later tamarillo is recognized as a tropical fruit which is grown in tropical climates. 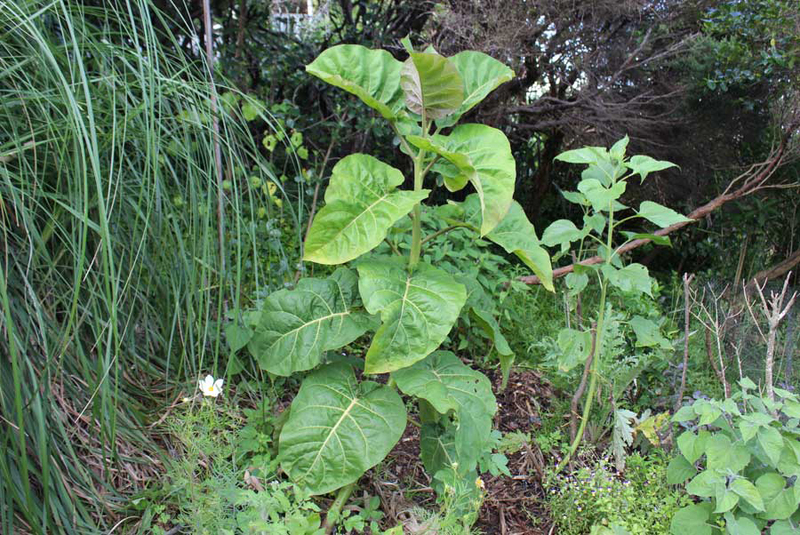 The plant was originated from South America, Peru, Ecuador and Chile. Fruit appears from May to October. Fruit is cultivated in Hawaii and plant survives till 15 years old there. After grown out from a flower, fruit requires 25 weeks to reach maturity. Today New Zealand is the high producer of tamarillo fruits worldwide. 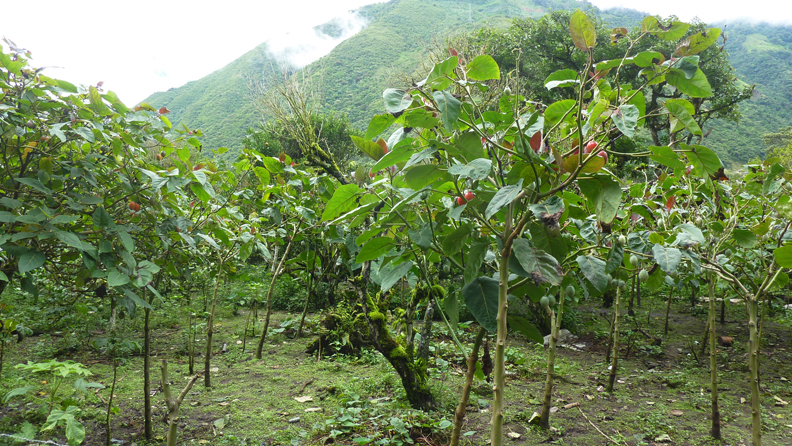 Tamarillo is inherent to Andes of Peru, Ecuador, Chile, Bolivia and Colombia. Today it is cultivated in small orchards and gardens and considered to be a most popular fruit of these regions. It is also cultivated in subtropical areas of the world such as South Africa, Rwanda, United States, China, Hong Kong, New Zealand and Australia. Around 1996, the first internationally marketed crop was produced in Australia of tamarilo. The exotic fruit enthusiasts have grown increasingly the fruit from mid-1970s around the country. About 2000 tons are produced in New Zealand on 200 hectares of land and is exported to Japan, United States and Europe. The existing marketing channels which are developed for kiwifruit are used for the export. Tamarillo is grown successfully at higher elevations of Philippines, Malaysia and in Puerto Rico. 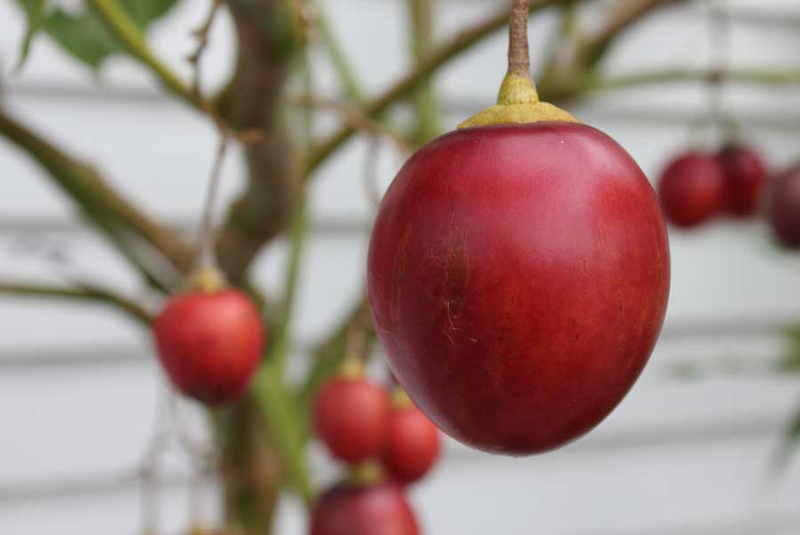 In New Zealand, tamarillo is known as tree tomato. A new name is chosen by New Zealand Tree Tomato Promotions Council for distinguishing it from ordinary garden tomato and increases its alluring appeal. 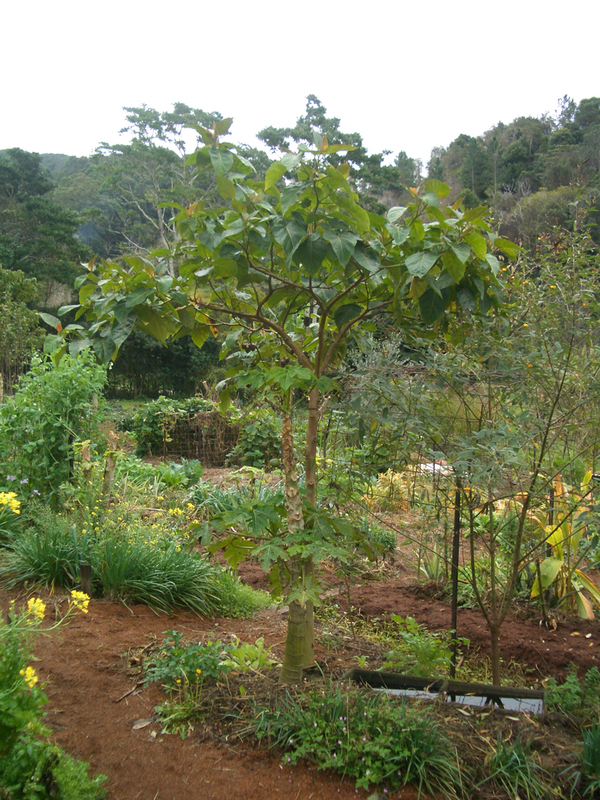 Tamarillo is a fast growing tree which grows upto the height of 5 meters. 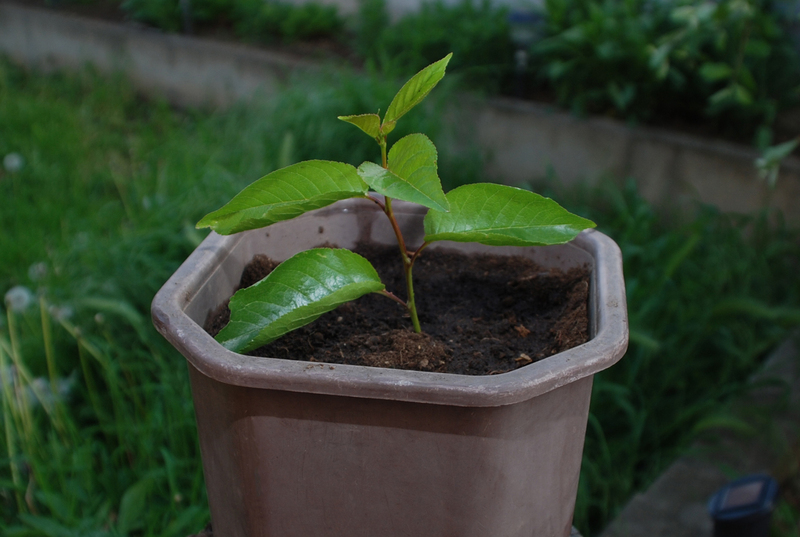 The life expectancy of the plant is about 12 years but it reaches its peak production after four years. The trees have single upright trunk and lateral branches. Lateral branches held flowers and fruit. Leaves are simple, large, perennial and possess strong and pungent smell. Flowers are pink to white and usually form in 10 to 50 clusters. A cluster produces one to six fruits. Without cross pollination also the plants could bear fruit. The fragrant flowers attract insects. The tree has shallow roots. It is not tolerable to drought stress and could be damaged by strong winds. The plant bears fruit of egg shaped which measures about 4 to 10 centimeters long. The color of the fruit differs from yellow and orange to red and purple. It may have dark and longitudinal stripes. Yellow or orange fruits are sweeter and red fruits are acetous. Flesh has firm texture and possesses larger seeds. Tamarillo provides a great amount of dietary fiber, protein, minerals and vitamins. It has high content of carotenoid pigments such as β-carotene, ζ-carotene, β-cryptoxanthin, zeaxanthin and lutein. 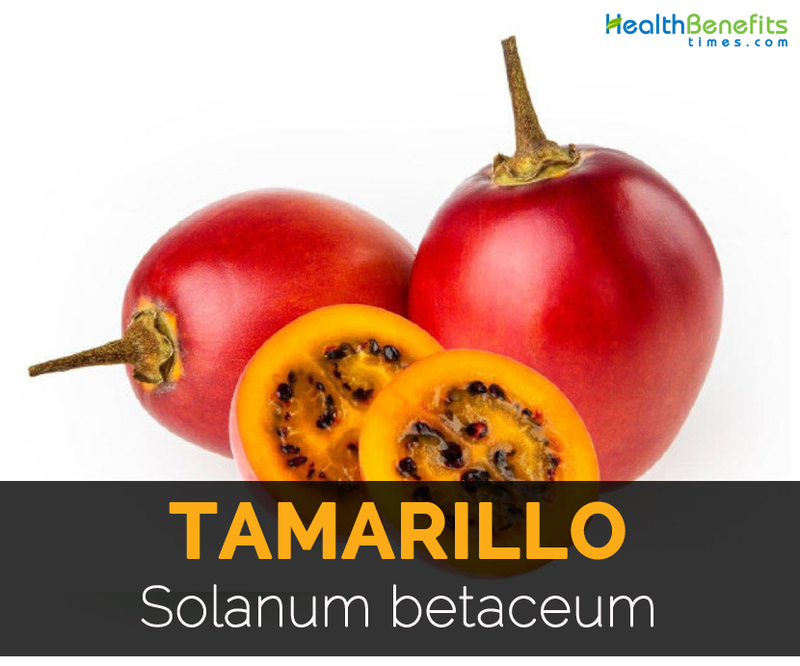 Besides this, it also includes vitamins such as Vitamin B6, Vitamin C and Vitamin E. Vitamin A and Vitamin C content found in tamarillo makes a very good antioxidant. It also contains phytonutrient such as anthocyanin, phenolics, flavonoids and carotenoid. Fruit color varies according to the presence of phytochemicals. The variety of red provides more anthocyanins and variety yellow have high content of carotenoid. 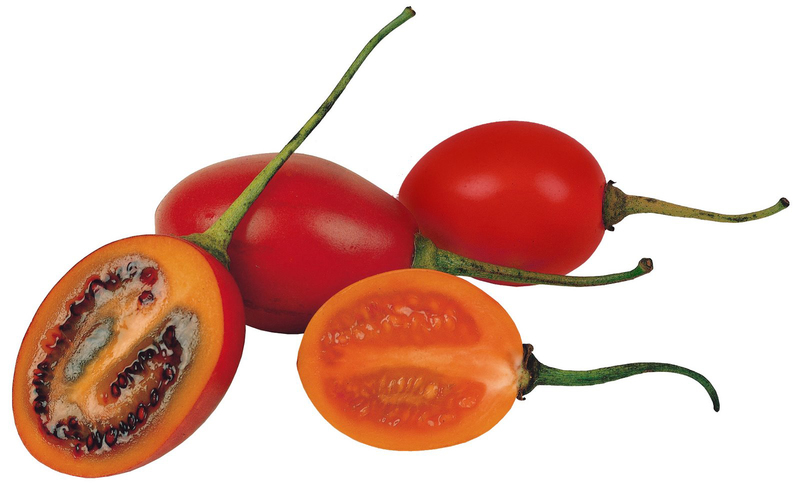 Besides these, tamarillo possesses malic acid and citric acid that promote its acidic tangy flavor. Oxidative stress and free radicals are the main cause for diseases. Tamarillo has phytonutrients that offers antioxidant activity and lowers the chances of degenerative diseases such as cancer, cataracts, Parkinson’s disease, heart disease, diabetes and Alzheimer’s disease. Antioxidant properties are attributed by Vitamin E, Vitamin C, Vitamin A and other phytonutrients. Antioxidants are found in abundant source in peel as well as flesh. Studies shows that peel have higher activity due to flavonoids and phenols. Tomatoes are known for its benefit to improve vision and eye health. Tamarillo is also beneficial for maintaining eyesight. Tamarillo has Vitamin A that maintains healthy eyes. 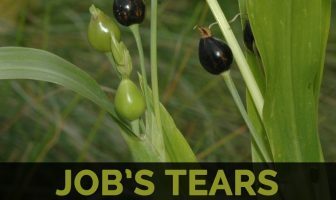 It also moistens eye membranes and acts as a barrier for virus and bacteria. It lowers the chances of eye infections. It possesses various nutrients which prevents oxidative stress and degenerative eye disorders including macular degeneration and cataracts. Potassium is found in ample amounts in tamarillo which assist in controlling heart rate as well as blood pressure. It balances harmful effects of sodium on heart. It also provides magnesium as well as other minerals that are essential for proper functioning of cardiovascular system. Tamarillo has high content of dietary fiber which assists in inhibition of bad cholesterol absorption. The antioxidant activity prevents heart from oxidative stress and lowers the chances of heart stroke and other cardiac problems. Citric acid helps to avoid the growth and development of kidney stones. It provides protective benefits with the excretion of excess calcium as well as uric acid from the body. The presence of citric acid in Tamarillo causes acidic flavor. Add tamarillo to the diet to lower the chances of kidney stones. But not scientific evidence has been found on benefits provided by tamarillos on kidney stones. Tamarillo is rich in nutrients which lowers the chances of cancer with its antioxidant properties. Anthocyanins possess anti-cancer properties. Studies shows that lycopene inhibit the growth of cancer cells. Being an antioxidant food, the consumption of tamarillos protects the body cells from turning cancerous and from oxidative stress. Tamarillo offers Vitamin E, Vitamin C and Vitamin A which builds blocks of skin. 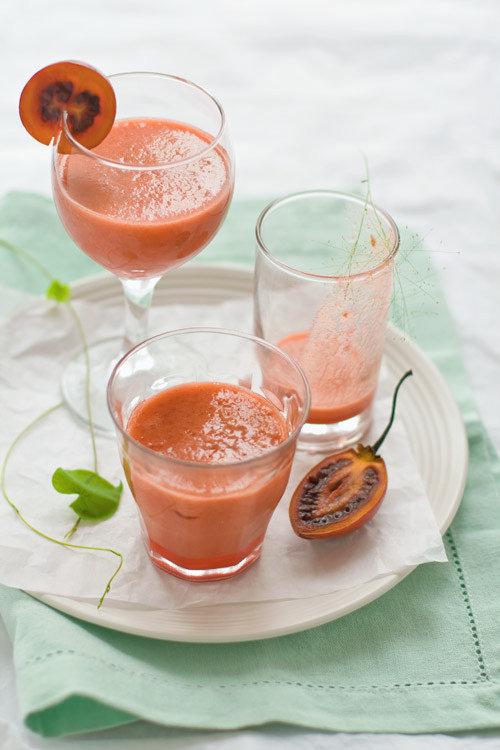 The daily intake of tamarillo assures that the body is not deprived of nutrients and makes the skin healthy. It prevents aging of skin due to UV light and pollution. 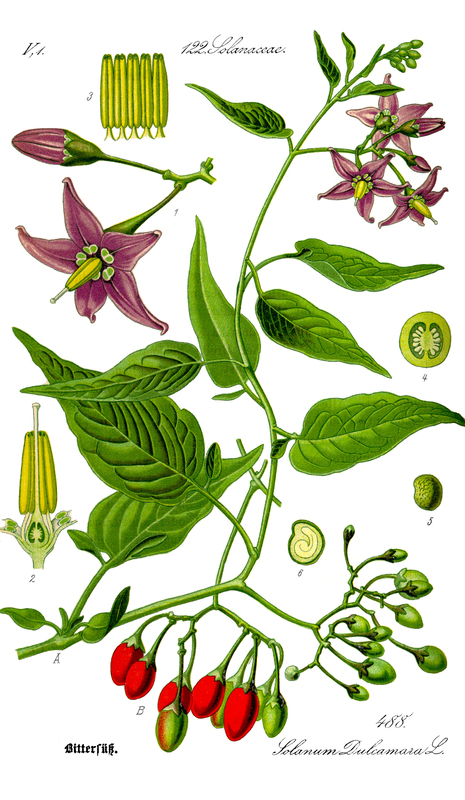 Tamarillo extracts is used for various skin formulations for its antioxidant properties and benefits to the skin. Phenols, anthocyanins and flavonoids protect skin from oxidative stress. 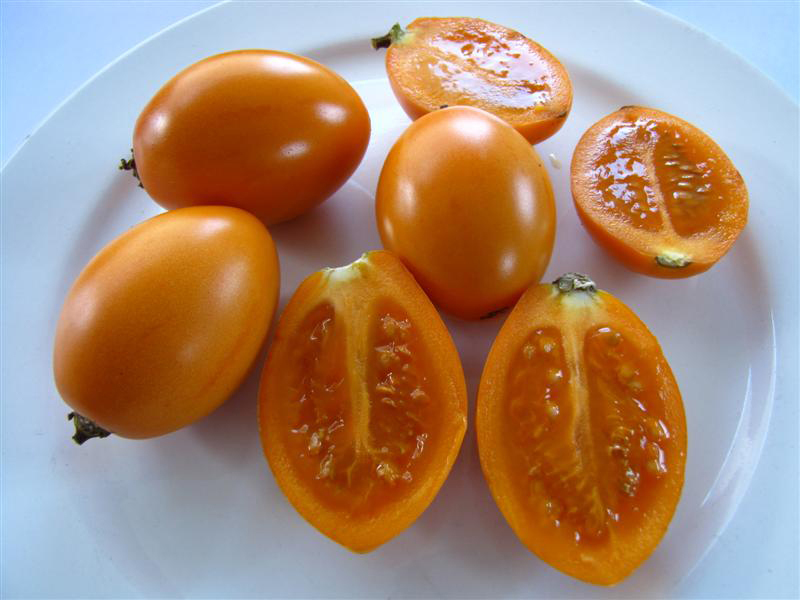 Like tomato, tamarillo could be used for various skin problems. Blend two teaspoon of oatmeal, one tamarillo and one lemon juice. Apply it to the face and let it remain for 15 to 20 minutes. Then rinse this mask with lukewarm water. Scientific studies show that tamarillo is beneficial for diabetic people. Tamarillo has chlorogenic acid which helps to lower blood sugar in Type II diabetes. Moreover, antioxidant activities help to lower oxidative stress on body organs such as liver and pancreas that could result to diabetes. Tamarillos possess wide range of antimicrobial activity which was the result of protein that inhibits action of enzyme invertase. 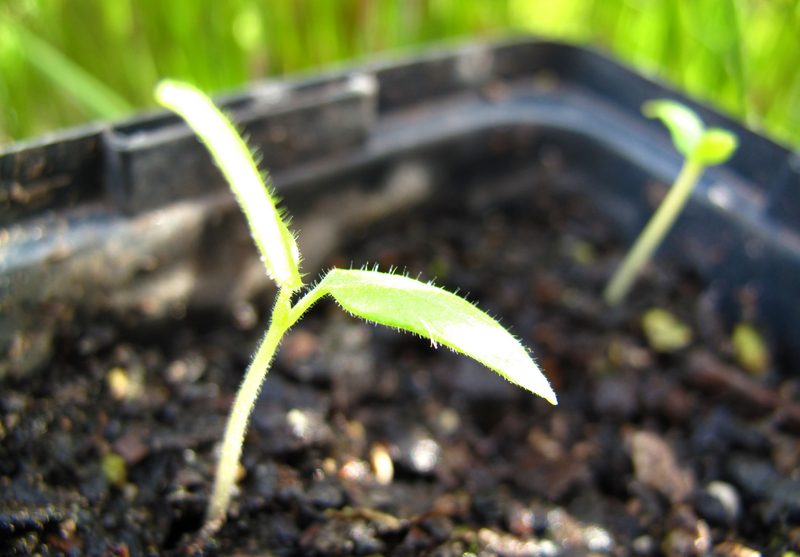 Its protective action was found in study over various plant pathogens. This antioxidant activity assists in preventing infection in humans. For sore throat, warm the leaves and wrap it around neck. Cook the pulp in embers and use it as a poultice for inflamed tonsils. Avoid by the people with known allergy. People with health ailments should consult the doctor before use. Consume the fruit by scooping the fresh. Flesh could be lightly sugared and cooled which could be used for breakfast. In New Zealand, flesh is spread on toast at breakfast. It could be added to stews, chutneys, hollandaise and curries. Add it to dessert or combine it with apples. In Nepal, it is used as tomato for curry. In Ecuador, it is blended with chili peppers for making hot sauce. 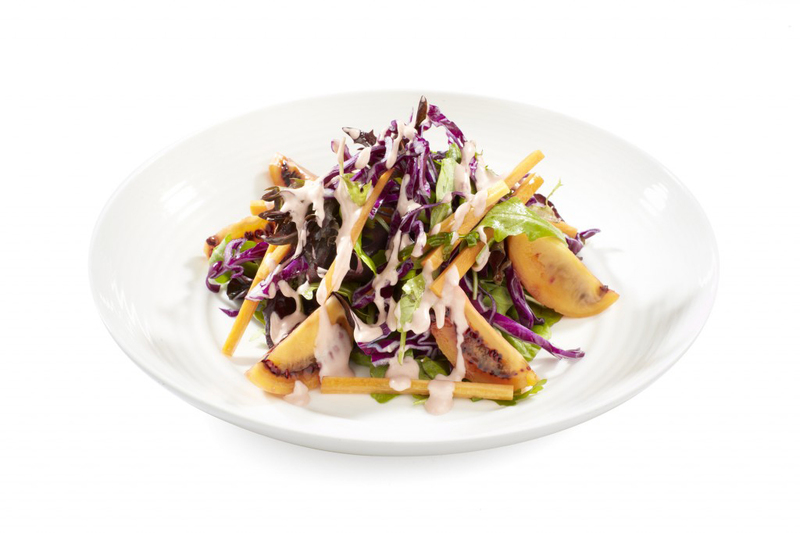 It could be added to green salads, fruit salads and sandwiches. In South America, it is blended with ice, milk and sugar. 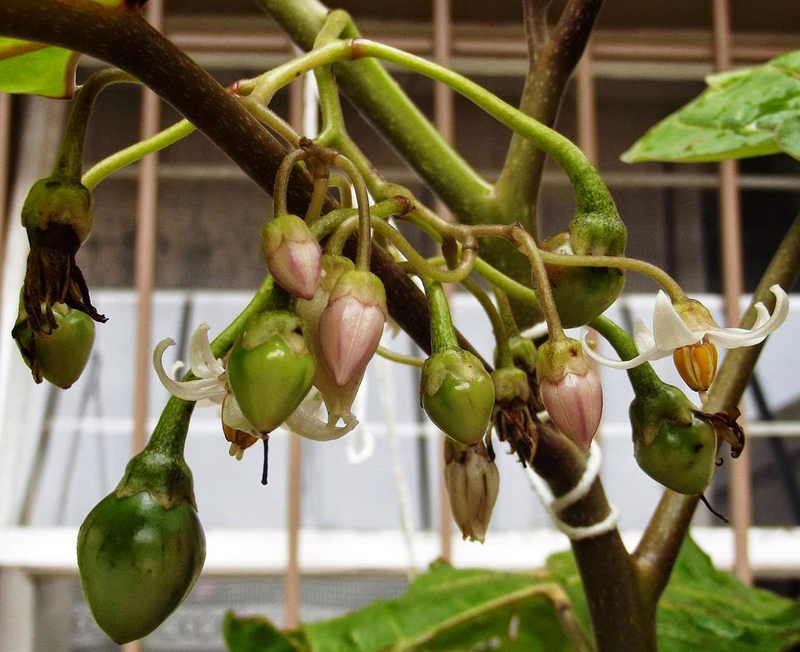 Tamarillo could be baked, grilled or boiled and serve it with fish, burger or steak. Native Native to Andes of Peru, Ecuador, Chile, Bolivia and Colombia.